Hello English-speaking friends! After about one year and a half I’m back with a new post! A long and thoughtful silence due to the camera that was broken, and, above all, to the fact that I didn’t feel much desire to write. Anyway there was not much to tell, no real exciting journeys, just an emigrant wandering between London, Malaga, then in a ugly Irish city called Cork and finally in the beautiful Malta where I am now. 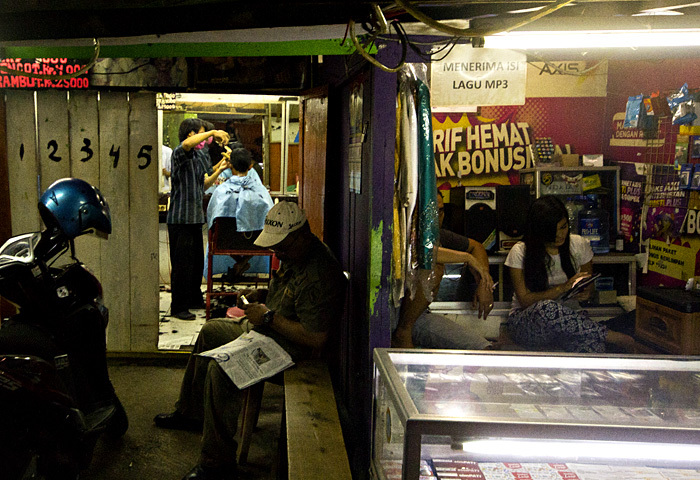 But I’ll tell you about this next time, this time I’ll tell you a short trip to Indonesia done last month. I travelled with an old friend, Tiziano, and before Indonesia we stopped a couple of days in Dubai, United Arab Emirates. A strange city, full of spectacular skyscrapers, many of which probably empty. From what I understand, rather than oil, trade and tourism, it’s a financial center that recycles a lot of money and many of these are reinvested in constructions. 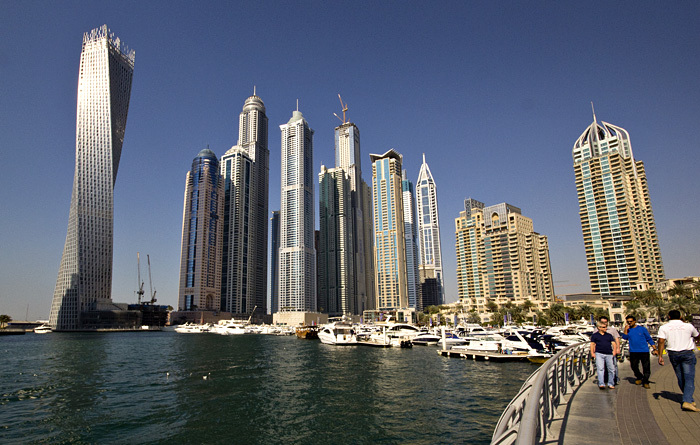 Here we are in the marina area, on the Persian Gulf. Most of the skyscrapers are truly beautiful and my favorite is the twisted one! Really brilliant. They were almost all built just in the last 20 years. In this sense, it reminds me Shanghai. 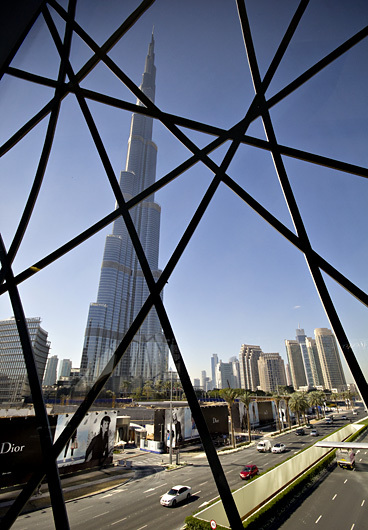 And behind a grill: the tallest building in the world, the Burj Khalifa, 829 meters high. 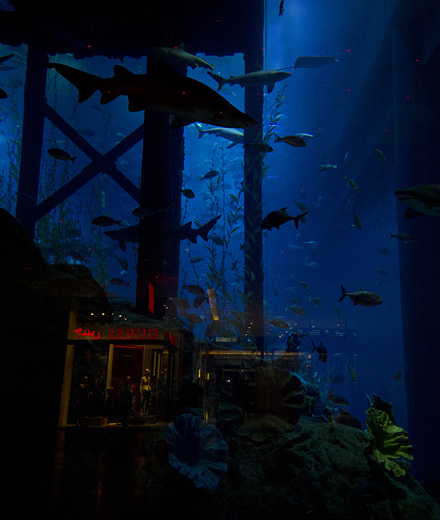 Here, instead, we are in the larger mall in the world, the Dubai Mall, which has inside a giant aquarium. 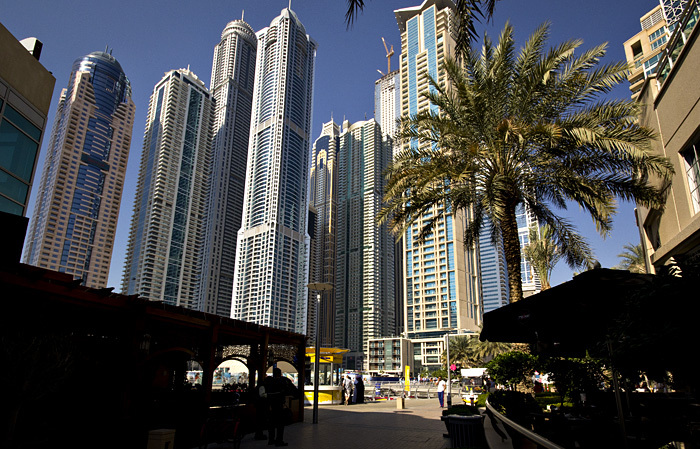 Dubai is full of shopping centers, where residents spend much of their free time. In short, a place quite alienating. 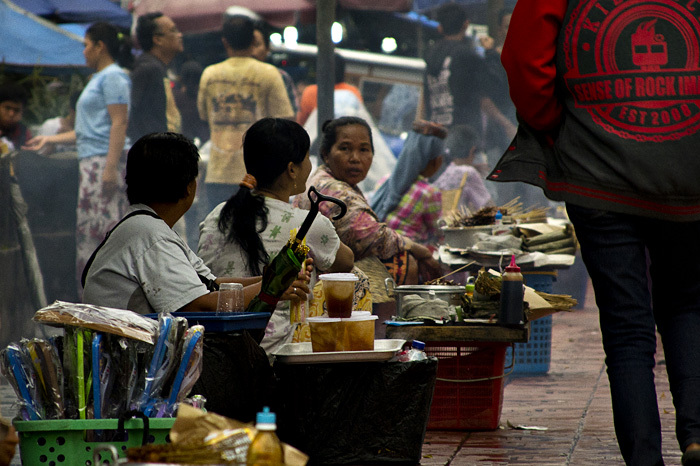 And here we are in Indonesia, in Jakarta. 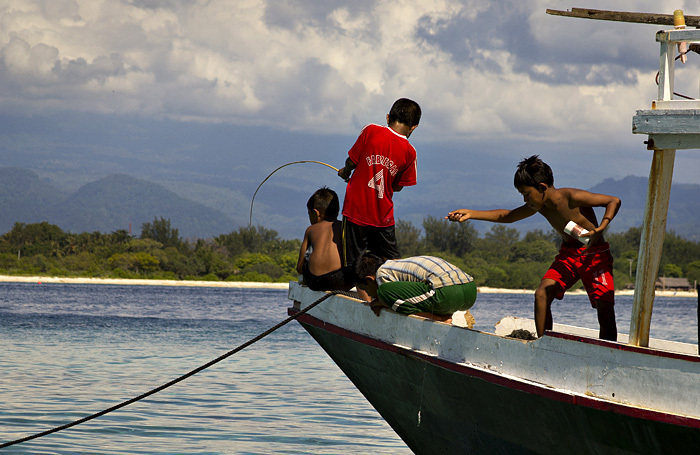 To visit all Indonesia would take months, being an archipelago of over 17,000 islands, each with its own history, until a recent somewhat artificial unification under one flag. So I’ll tell you just what I saw in my two weeks. Jakarta is ugly and among other things it’s practically impossible to visit because of the traffic, maybe the slowest in the world. After almost an hour in a taxi making just a few hundred meters, we gave up and went back to the hotel. 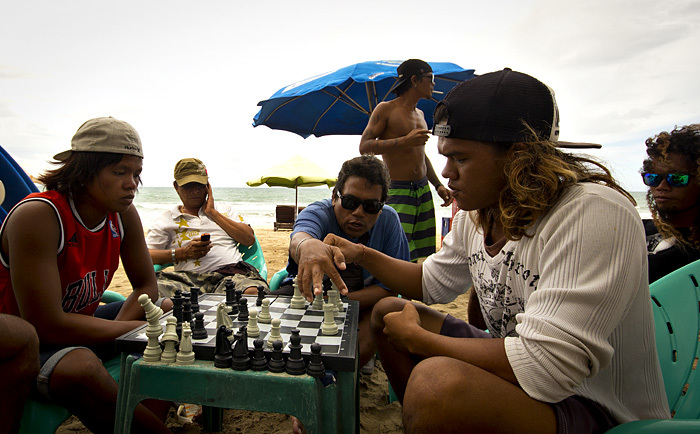 Chess players in Kuta beach, Bali. 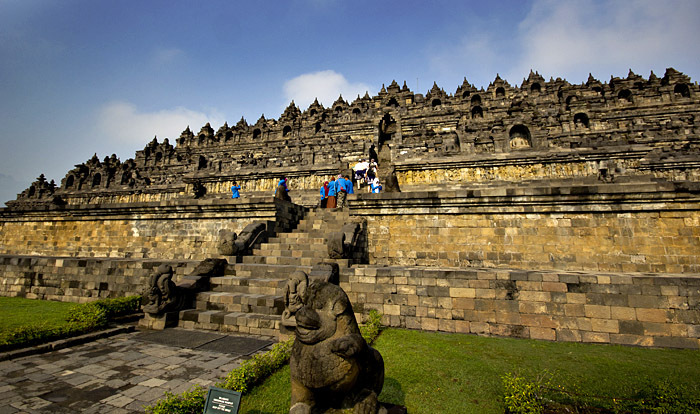 At beginning I had planned to visit Yogyakarta after Jakarta to visit the Buddhist temple of Borobudur. 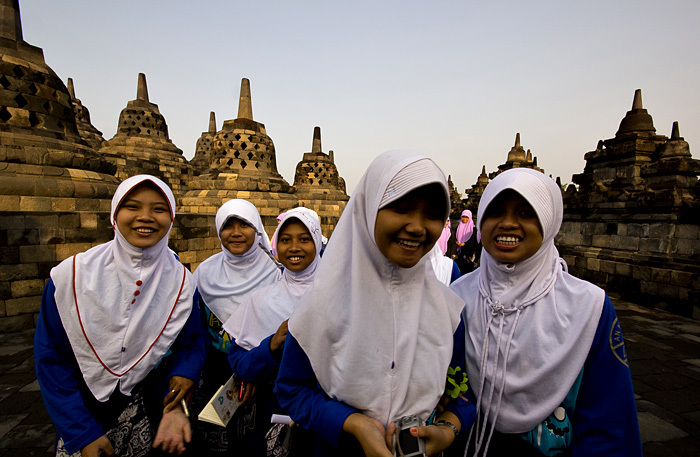 But it happened that the Indonesian archipelago seethed with emotion at the news of the arrival of your favorite photographer and writer: the same day I bought the ticket exploded a volcano in the island of Sumatra, in the north-west. A total mess. The day I took the plane, instead, exploded a volcano in Java, where I was going, completely covering of ash that temple, which fortunately was reopened just right before my return. So I finished first in Bali, that I had already visited many many years ago, back in 1996 during a long trip that also included Australia and South-East Asia. When I was young and full of hope… ehhhhh yes I am a bit ‘on the melancholy these days. I think it’s the job that is killing me! 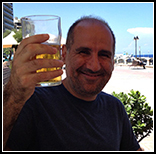 I do online support by email to poker players. A mass of lunatics, I’ll tell you next time. 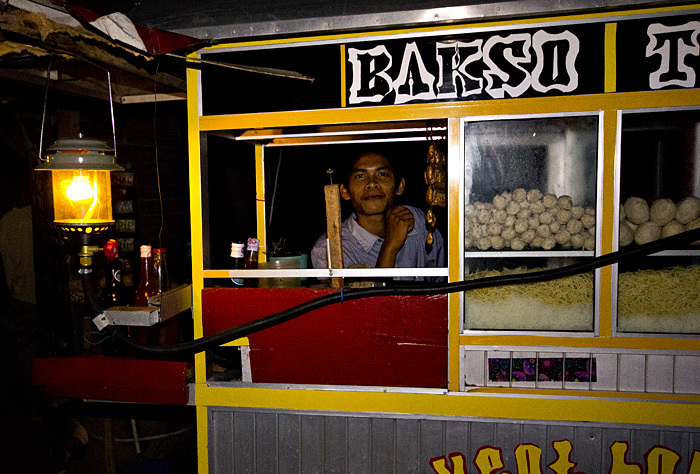 Bali is a sort of Hindu stronghold, while the rest of Indonesia is overwhelmingly Muslim. There are also, in minority, Christians and other religions. 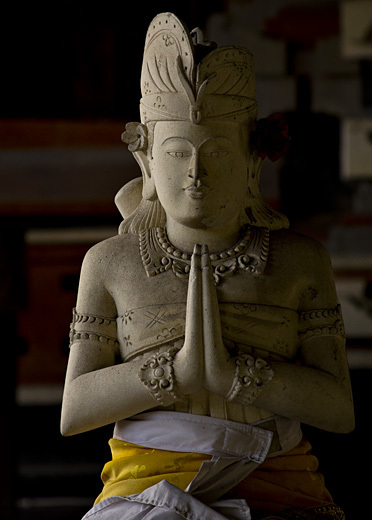 Hinduism has absorbed elements from previous animist religions, making it in some sense unique. Kids in a judo school. 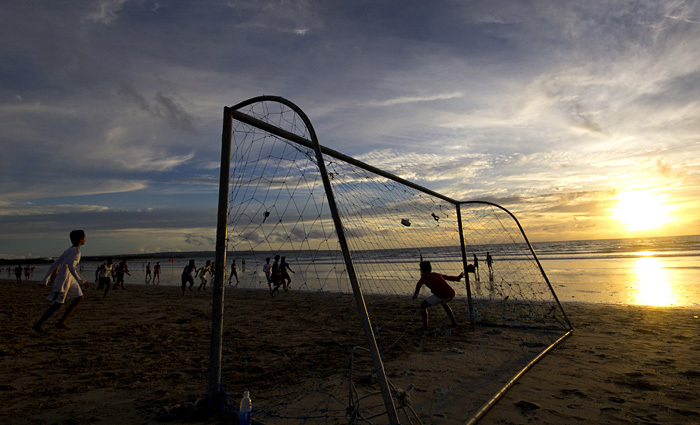 Football match in Kuta, at sunset. Cat at sunset. 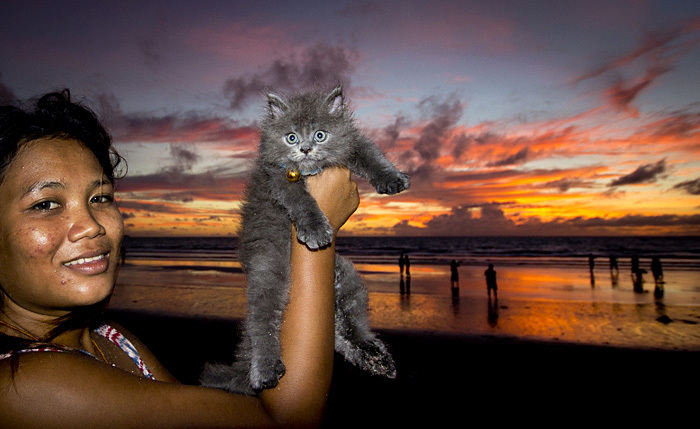 Actually Kuta beach is not beautiful, apart from the incredible red sunsets, spectacular and different every night. Even the Balinese come every evening on the beach to contemplate. 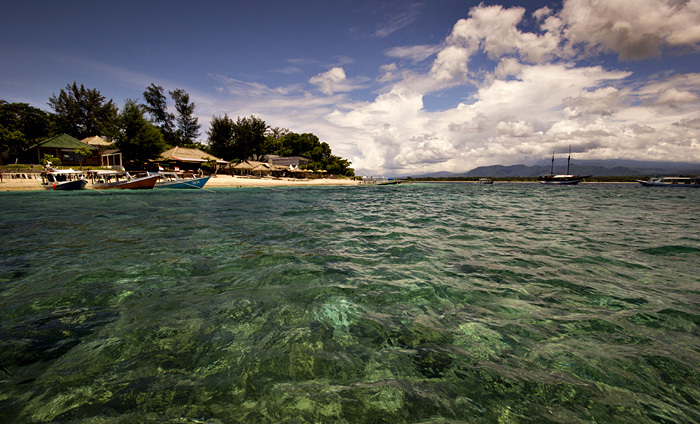 One of the three Gili islands, which are between Bali and Lombok. Very small, with a fabulous sea. There are no cars and motorbikes, just bicycles and taxi-horse carriages. The classic place to stay for a few days lounging lazily in the sea regardless of the evils of the world. On a boat, going to snorkeling. There is a beautiful coral reef with lots of fish and sea turtles. Family on a scooter in Yogyakarta, in Java island. 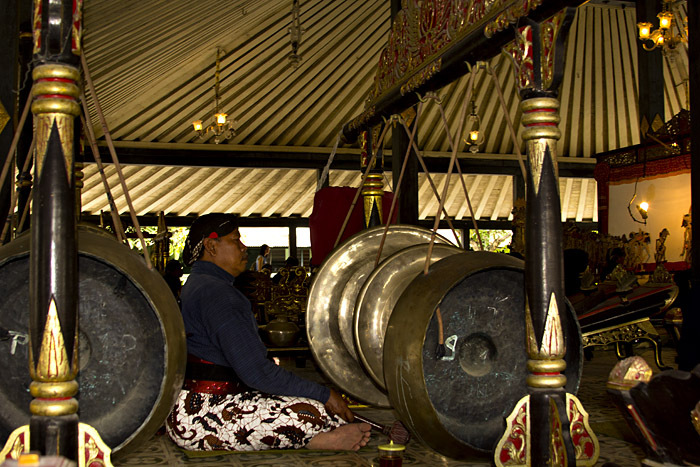 Unlike Jakarta it has retained many of the cultural and artistic traditions of Java, of which is in a sense the soul. 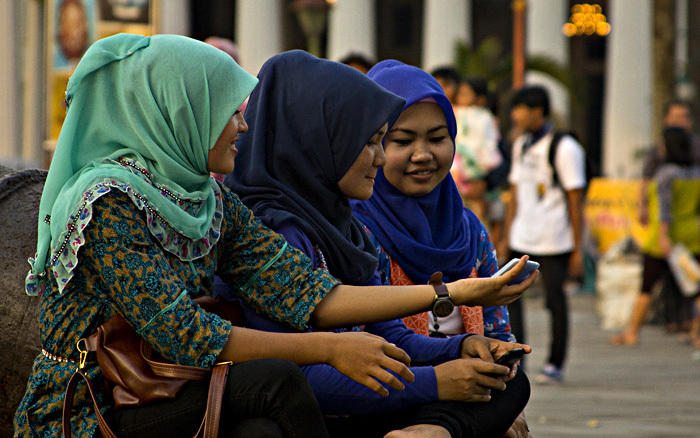 It was the city symbol of resistance to colonialism, especially against Dutch, and it’s currently the only province in Indonesia yet ruled by a sultan. The gong of the shadows’ theater , located on the right side of the photo from the back. There is a lamp that casts the shadows of the puppets behind the screen. 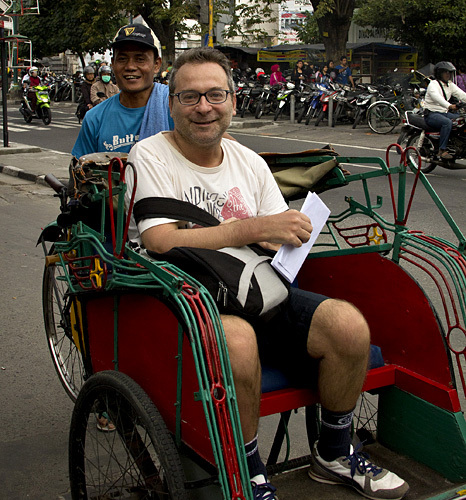 My friend Tiziano on a rickshaw. 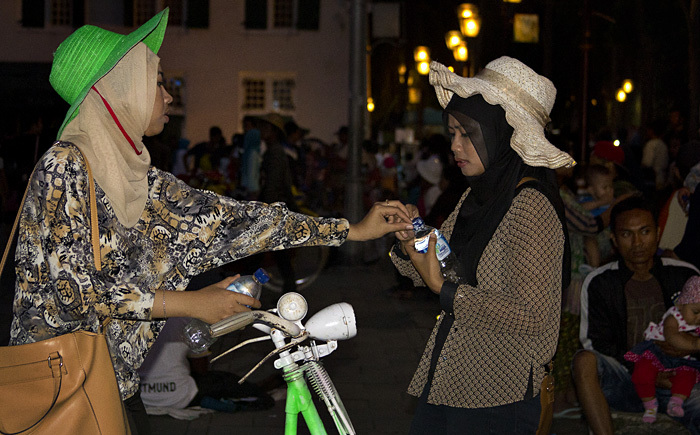 We travelled togheter many times, including the first time in Bali. 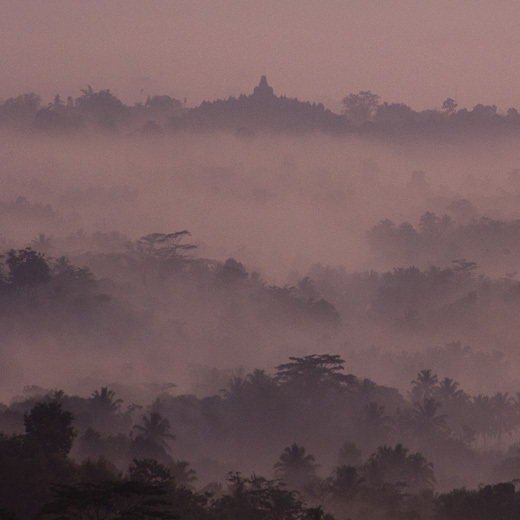 At dawn, in the mist, the Buddhist temple of Borobudur appears in the forest. It was built around 800 A.D. and consists of 10 levels that symbolize a gradual ascent to nirvana. All around is adorned with bas-reliefs whose images depict the life of Buddha and other Buddhist teachings. At higher levels there are dozens of niches with statues of Buddha inside. Seen from above takes the form of a mandala. Going up, I reached the last level and with it, finally, the enlightenment! I wrote it already on facebook with a photo that got 101 “like”, referring to the 101 Zen stories – but now don’t put the 102nd like, please. But, as I said, don’t be afraid, I will not abandon you to your fate disappearing in the nirvana. I’ll keep instead staying with you, as a bodhisattva, helping also you in reaching the enlightenment. Yes, I see it very hard. But never say never! 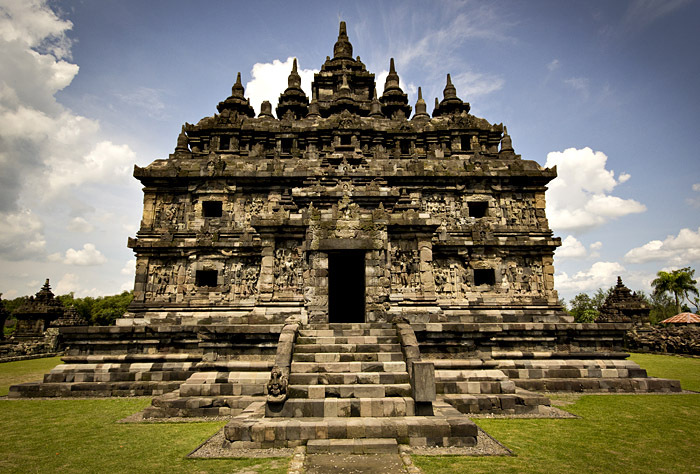 Around Yogyakarta there are also some beautiful Hindu temples. The main complex is called Prambanan, but also all around, in the countryside, you will come across scattered temples, like this. Back to Jakarta. This time since we arrived on Sunday, the traffic was relatively less slow and we could visit it a bit. Here we are in one of the main squares, Kota, where there was the Dutch government building. It’s very alive on Sunday evening. 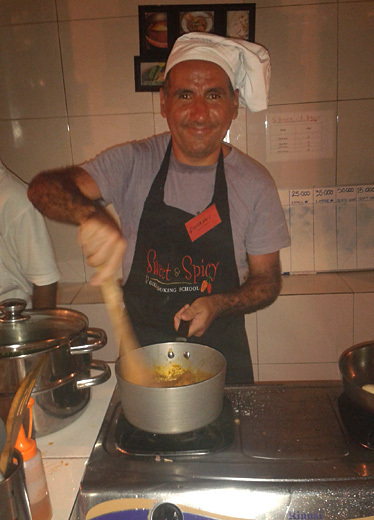 And there I’m, during a short course in Indonesian cuisine. Better the Italian, I have to say. Recently I’m imporving in cooking, I’ve always done it, as pasta and thigs like that, but now I’m learning also more complex dishes such “parmigiana”, “focaccia” etc… so adding this to other skills of mine, not least the amateur ones, and taking into account that now I have also a discreet income, I can rightfully call myself a great catch! A great catch. I do not say an eligible bachelor because it carries an infinite bad luck. In the meantime, a photo of mine has been selected by National Geographic as photo of the week! See you then… in a year and a half more or less. This entry was posted in dubai, indonesia by Dekaro. Bookmark the permalink.